Can’t make it down to volunteer or donate? Like the work that the Silver City Gospel Mission is doing? 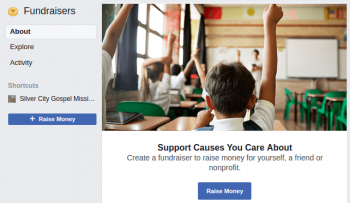 It’s now easy and simple to create your very own fundraiser on Facebook to raise money for the Mission. Just go to the Fundraising Page on Facebook at https://www.facebook.com/fundraisers/ and push the raise money button to get started. Follow the simple step-by-step directions, choose the Silver City Gospel Mission as your beneficiery and share it with your Facebook friends. So if you would like to lend us a hand in a very meaningful way, please start your own fundraiser Now! A big shout out to Larry and all of his very dedicated mail carriers and the folks who donated food during the recent Mail Carriers Food Drive. For the 25th year in a row, letter carriers across the United States displayed concern, compassion and commitment to their postal customers—and to the communities in which they work and live—by participating in the Letter Carriers’ Stamp Out Hunger® Food Drive, the nation’s largest one-day food collection effort. Food was shared between various food donation agencies in Silver City including St. Francis Associates, The St. Vincent De Paul Food Pantry and the Silver City Gospel Mission, among others. No final tally of total food collected is available yet, but the Mission received more than 2 bins of food averaging around 2 1/2 tons that will go a long way in helping us meet our mission of feeding the hungry in Silver City. The mail carriers were really on the ball this year and Carriers stuffed bags in mailboxes throughout the city in the days leading up to the drive that served as a reminder to donate and made it easy to do so. Picking up these grocery-store sized bags filled with canned goods in addition to their regular duties really shows how much these guys care and is much appreciated. And our community deserves a giant hand for really going overboard this year in their donations. Thanks guys for a job well done and for your extra effort to make this food drive the success it was! I recently received a letter from a very nice woman who is going through some tough times, that I thought I’d share with you. This can be very discouraging work sometimes. Many times, it seems like we are taking two steps back for every one step forward, but occasionally we do see a ray of hope. Recently I lost my husband and best friend to cancer and am hurting in ways that are indescribable. My days are spent working full time. My nights are spent doing homework and taking care of two small children. I don’t have shared duties with a spouse anymore. Everything, including the bread-winning is now on my plate. I just wanted to thank you for the service you provide at the Mission. In the past I have dropped clothes off, but I never dreamed we would ever need your services. The food we have been getting has been a Godsend and even the clothes have come in handy. I know you probably don’t hear it very often, but our small family thanks you and your staff from the bottom of our hearts for your friendliness and help. ~ Name withheld upon request. Now it is letters like this that make all of this worthwhile and attitudes like this young ladies that make me appreciate our small town and the help so many of us are able to give in so many ways. Tomorrow – Saturday, May 6 – We will be participating in Give Grandly. This is a 24 hour day of giving to support the non-profits in our area. From 12:01 am until 11:59 pm, we will be working alongside 52 other Grant County non-profits to raise awareness – and dollars – for our individual programs. AND – thanks to the generosity of Freeport McMoRan and the United Way of Southwest New Mexico – we have a chance to have our donations matched if we can get to their threshold! Your donation will be effectively DOUBLED! So we are asking you to help us in our work. Last year the Mission was able to feed 35,261 hungry souls in the soup kitchen and hand out 4,892 food boxes. For every $1.16 you give the Mission, we are able to feed one person and for every dollar that we do receive, .91 cents goes back into helping those we serve with the remainder going to operating costs. We are a non-profit, non-denominational Christian charity who serves anyone, without question who comes through our doors and tomorrow we are asking for your support. There are several very easy ways to give. If you want to come see my smiling face…. and make me smile bigger by handing me a check, cash or having me run your credit card, come see me at the Silver City Farmers Market in downtown Silver City between 8:30 am and 2:30 pm. Every single dollar counts toward feeding, clothing and giving hope to your neighbor who might just need a little bit of love. Thank you and I hope to see many of you tomorrow! In 2012, RT’s Anastasia Churkina made this report on the harsh reality of America’s recession that led to hunger and poverty. Sadly, this video is still relevant up to these days. Watch what remained relevant to the people not just in America but to all people around the world. Every single day, too many men, women, children suffer from hunger from all countries around the world. Hunger is synonymous with famine, starvation and undernourishment. All of these lead to malnutrition which is a negative condition affecting an individual who lacks consumption of nutritious foods. 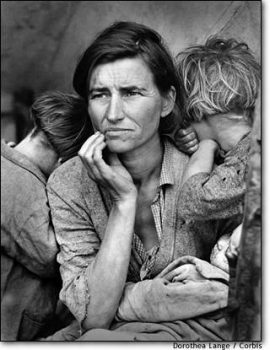 World hunger is another serious thing which refers to the scarcity of food in a country. Hunger is caused by a lot of complex interconnected factors. Poverty, conflicts between countries, overpopulation, climate change and many others are some of the known major causes of hunger. No matter how well the government of a country strives to provide well for its communities, there are always people out there who are left out with nothing to eat. The fight to end hunger is still a continuing advocacy among many organizations all around the world. Humanitarian organizations like the World Food Programme has long been involved in fighting hunger across the globe. 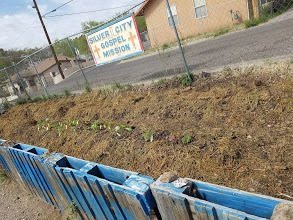 Other non-profit organizations in America such as Silver City’s The Gospel Mission also do the same out of their desire to contribute to the endless fight against hunger—providing free food from their food pantries, soup kitchens, and shelters. Even with all the programs provided by these charity organizations, it is not guaranteed that the fight against hunger will come to an end. So, it is important that people who have the capacity to feed the hungry come to embrace this advocacy and pass it on to the next generations, as well. I had a question the other day from a health conscious citizen about the types of meals we serve in the soup kitchen and the food we give out in the food pantry. I think we do a pretty good job, but there is always room for improvement and a lot of the time it depends on what we have on hand or can afford. We get our food from Roadrunner Food Bank in Albuquerque, rescue it from WalMart, Albertsons, Food Basket, CVS and a few Restaurants around town, we get donations from First American Bank and Freeport McMoRan of fair animals in the fall, we get donations from some of our donation boxes around town, numerous private donations that are dropped off at the Mission food pantry, leftovers from special events and a fair amount of produce that we grow in the Mission garden. 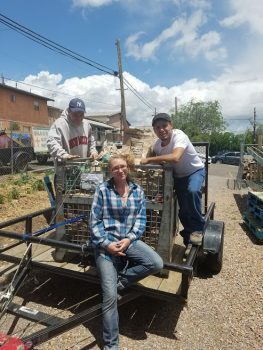 We also had a WNMU intern come in awhile back and rework all of the Mission soup kitchen recipes so they were more nutritious and used items we had regularly donated (and we published a cookbook/storybook which is available on Amazon.com). Currently anyone who is hungry can get one of our own food boxes each month and if they meet Government guidelines they can also get another TEFAP food box that same month (if they live in our area). The soup kitchen is open for breakfast Monday through Friday and for lunch Monday through Saturday (we are looking for a group to cook on Sundays if you are interested). Below is the list of food we try and give out in our boxes, daily fresh food distributions and meal plans for the soup kitchen. If we don’t have a certain item on hand, we ask the community at large or certain groups to step up and help us out and if we have the funds available we may purchase it. We understand that these amounts are not very much and may not be enough to feed a family for even more than a few days, but they are meant more as a stop-gap emergency measure to keep people going until they receive their paychecks, food stamps and we use our soup kitchen for those who are truly in need on a daily basis. We normally hand out more than 500 food boxes and serve anywhere from 3,500-4,000 meals in our soup kitchen monthly. You can read more about the demographics we serve here. Most of the time it’s pretty well-balanced and enough to keep someone from starving for a short period of time. We could always use some extra help in the form of volunteers, cash or goods or if you have any ideas on how we can improve our ministry, we’d love to talk to you! And we are always searching for more ways to encourage, motivate and help those we serve and like to try new and creative ideas to help them get back on their feet.